How’s it look? Hearselike — still — from the back. 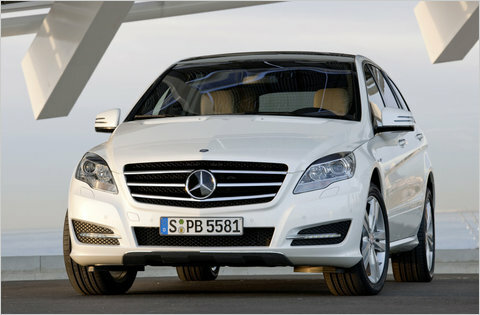 An E-Class nose job helps disguise the R-Class coming, but liposuction is still sorely needed to camouflage it going. Even with new taillights and bumper, everything from the C-pillar back remains wrong, proportionately. The interior, which was downright handsome in the lighter optional colors, needed little to improve it -– and that is what it gets. Next time, the interior and exterior design teams should swap assignments.